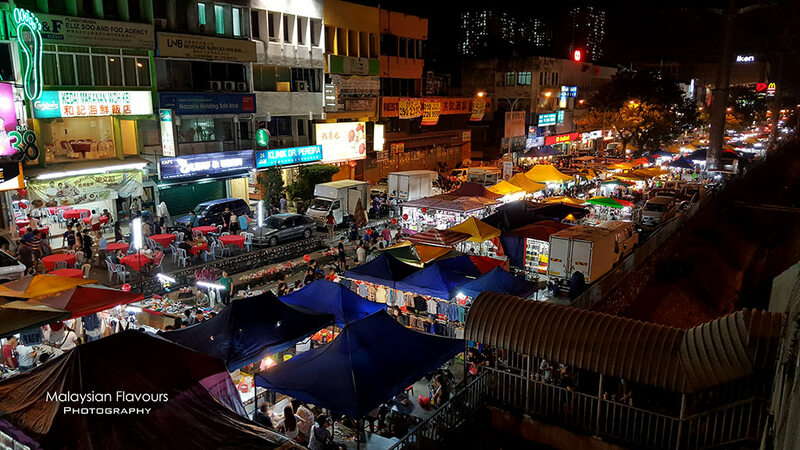 Every Wednesday, crowds flock to Cheras Pasar Malam at Taman Connaught KL for good food, cheap clothes, electronic gadgets, household items and more. 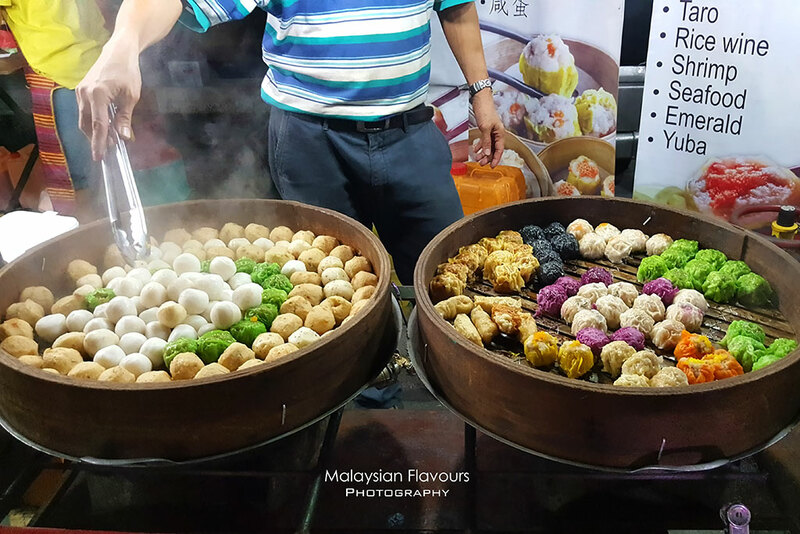 It is definitely one of the most happening night market in Kuala Lumpur, held every Wednesday. 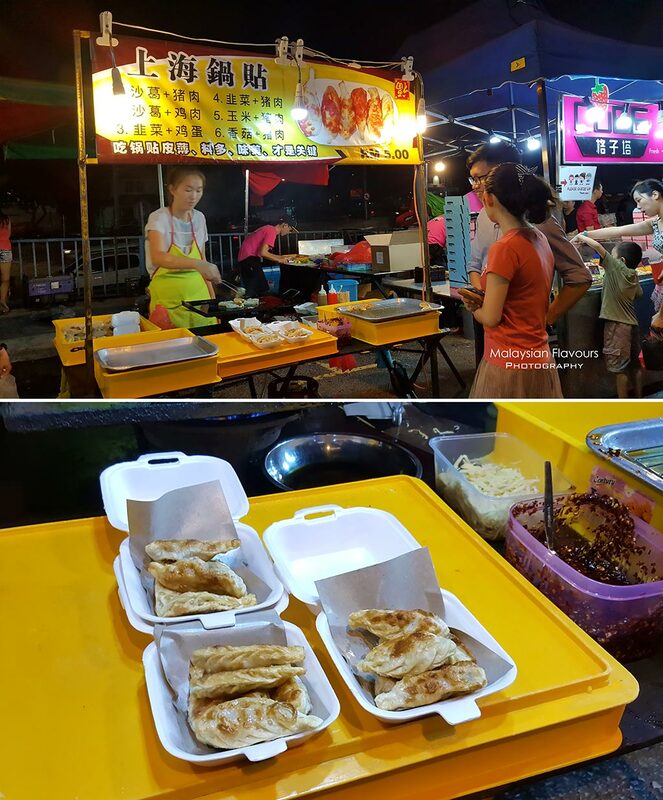 Started out as a place visited by locals to now, it is so popular that you can also trace down tourists enjoying themselves in this hot and stuffy night market. The last time we set foot in Cheras Pasar Malam was like 6 years ago, when we were still studying. 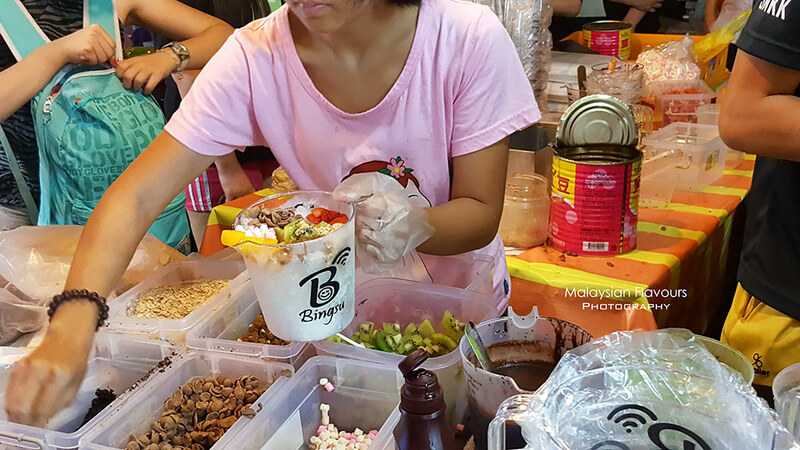 Time flies and many new stalls “invade” the busy night market, selling food in modern concept amongst the traditional favourites. Intrigued, we paid a visit last Wednesday. It supposed to be a random stroll initially but we ended up taking photos on everything we came across, like a tourist LOL. Decided to share a blog post. Apologize on all the low quality photos taken using Samsung Note 5, by Summergirl who had super bad photography skill hahaha. That RANDOM. 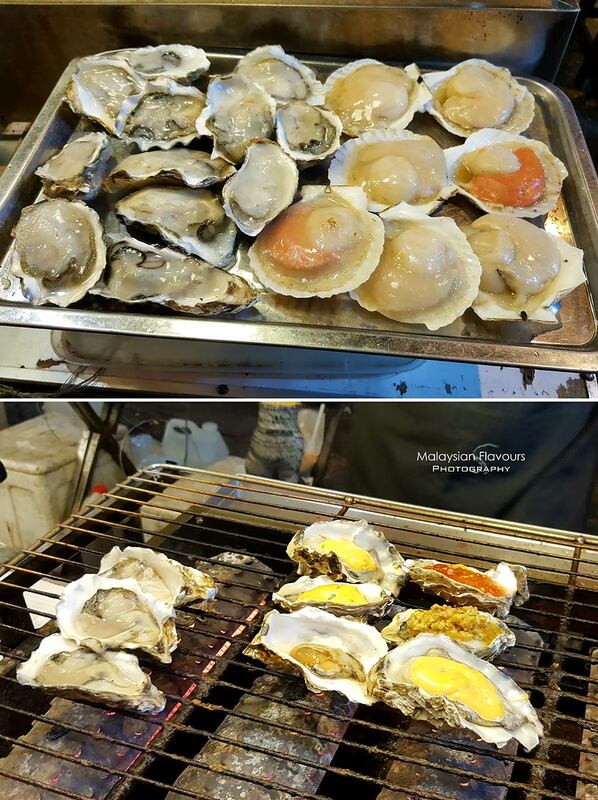 Before this, we never bother on “what to eat in night market”. There are always Assam Laksa, Prawn Mee, Char Koay Teow, Pan Mee, Char Koay Kak, Nasi Lemak, Chinese Pancake, pastries, breads, Nyonya kuih, herbal drink, fried chicken, etc. etc. etc. etc. to fulfill our craving. 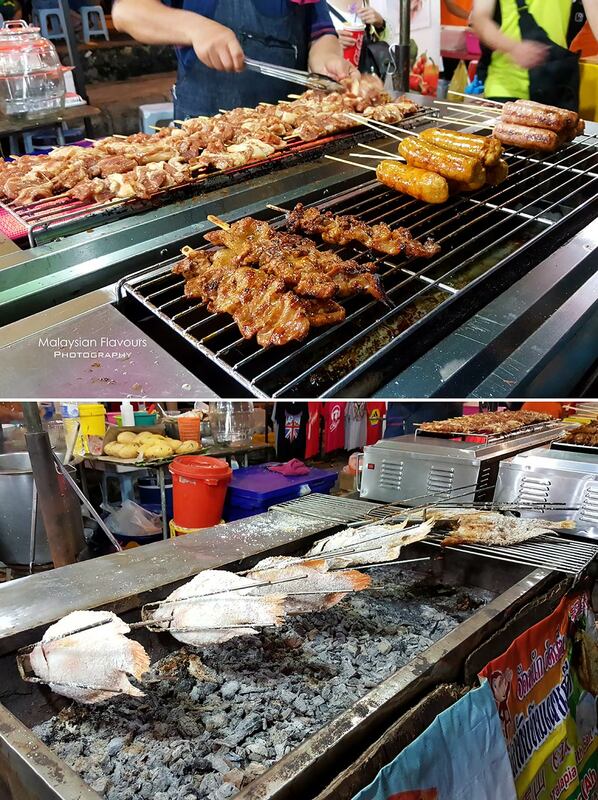 But in Cheras Night Market, question becomes “what else to eat besides all these common street food”. The first thing that caught our attention was definitely the cute Ultraman with V victory sign. That is Salted Egg Yolk Chicken 鹹蛋雞, Salted Egg Yolk Sotong 鹹蛋囌東 and Salted Egg Yolk Pumpkin 鹹蛋金瓜! Well, Salted Egg Yolk is translated to “ham dan” in Cantonese, somehow well fit to have “ham dan qiu yan 鹹蛋超人” as the “mascot”. RM6 for small, RM10 for big. Next up, mushroom bun 蘑菇包. This may not be a new thing as some dim sum restaurants in Klang Valley already serving this too. But idea of making a bun into the look of mushroom is kinda brilliant. LOL. So mushroom inside-out. 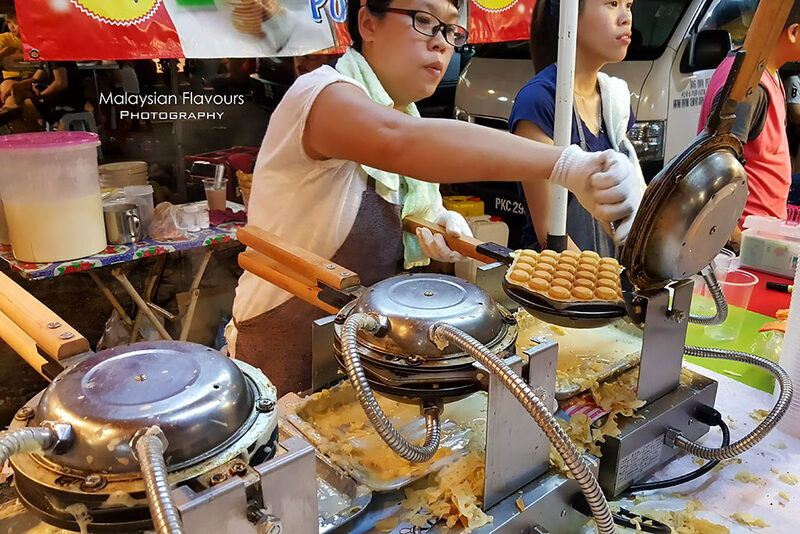 Thai Street Food in Cheras Night Market! This wasn’t exist 6 years ago hahaahaha. They even set up charcoal stove to grill fish. Geng. Bought a skewer of Moo Ping ( grilled pork skewer ) at RM3 and surprisingly, the taste can beat those we had in Frame Thai, Go Thai, Thailicious. Just not as meaty. 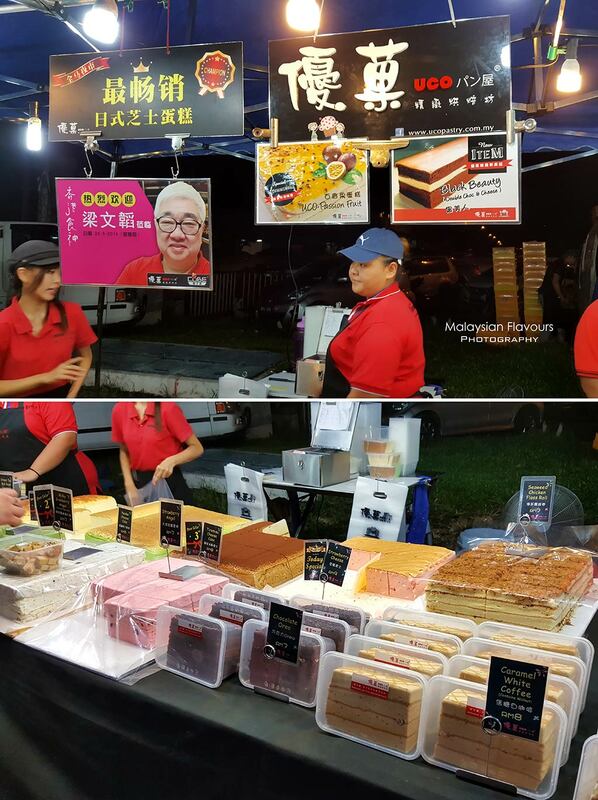 A brightly lit stall selling Japanese Cheese Cake, and proudly claims to be one of the best-selling cheese cake in Malaysia Night Market. 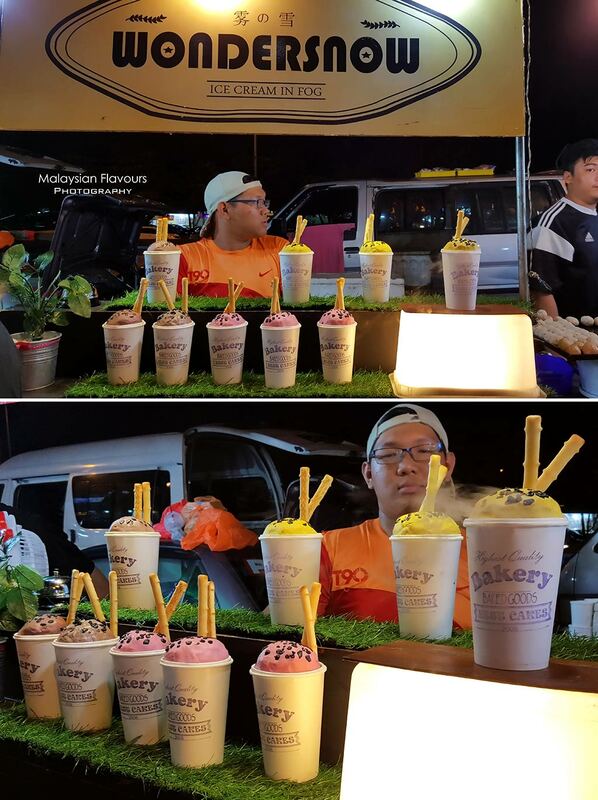 Lots of flavours to choose from – Double Chocolate & Cheese, Green Tea Red Bean Layered, Bamboo Charcoal Cranberry, Passionate Chocolate, Japanese Cheese, Vanilla Peach Layered, Pandan Cheese, Tiramisu Cheese Cake, Strawberry Angel and Milky Cranberry Angel. 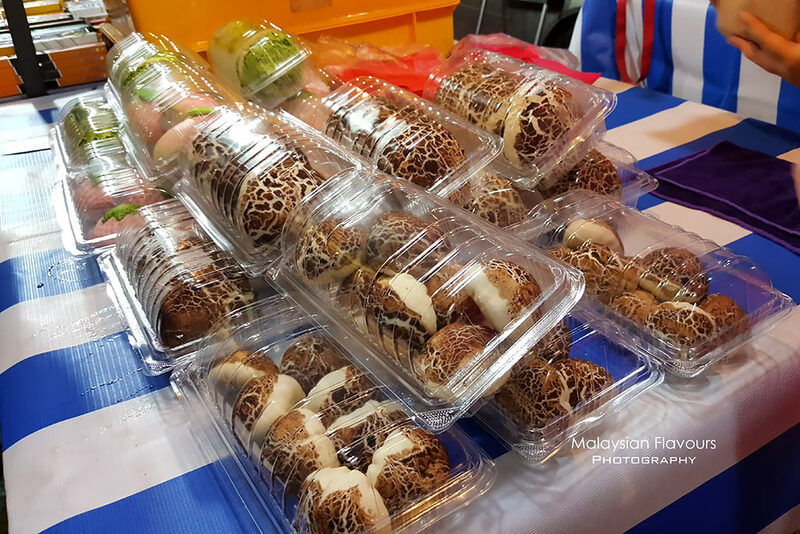 Taste of Korean in local night market and people is making a beeline to buy this. 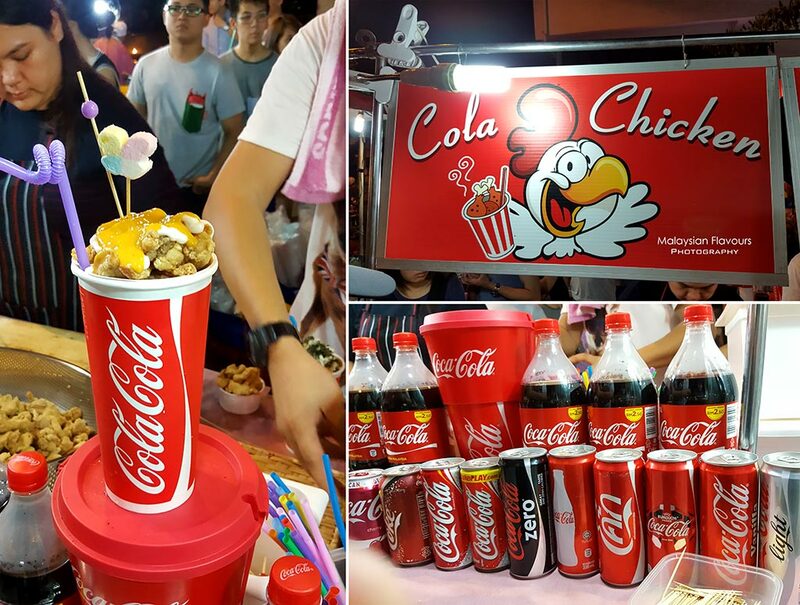 A tall-size soft drink cup, half filled with Coca-cola, then another cup placed over, with piping hot deep fried chicken in it. A sip of drink, a bite of chicken. Perfect paring but nothing much special to us. RM7 per cup. Like Softsrve, but cheaper in price. 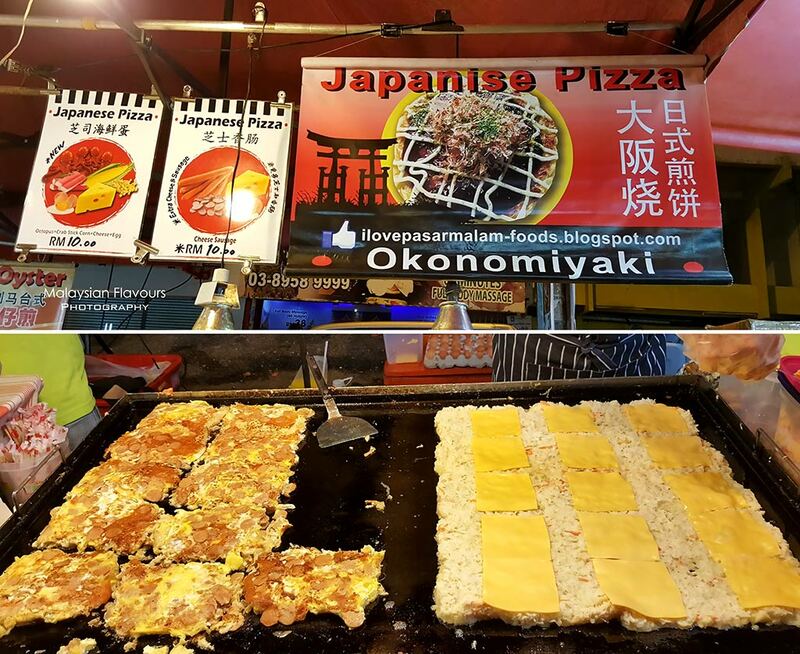 Japanese pizza with ingredients different from the real Okonomiyaki, they add sliced sausages in it. @. @ Plus, it is squarish, looks more like a Murtabak to us. Dim Sum in rainbow colours. Each colour represents a flavour – Seaweed, Taro, Rice Wine, Shrimp, Seafood, Emerald, Yuba. Some have steamed bun appear in various colours too. 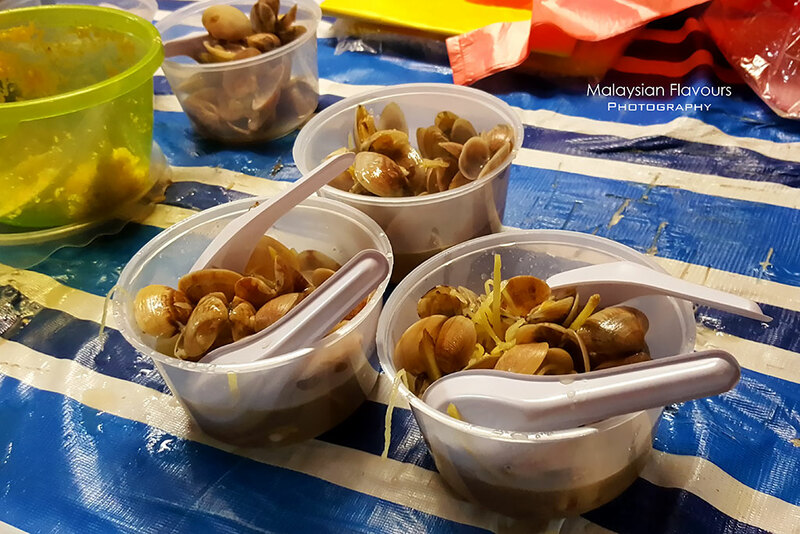 Don’t play play, the dim sum stalls in Cheras Pasar Malam are more creative than we thought of. 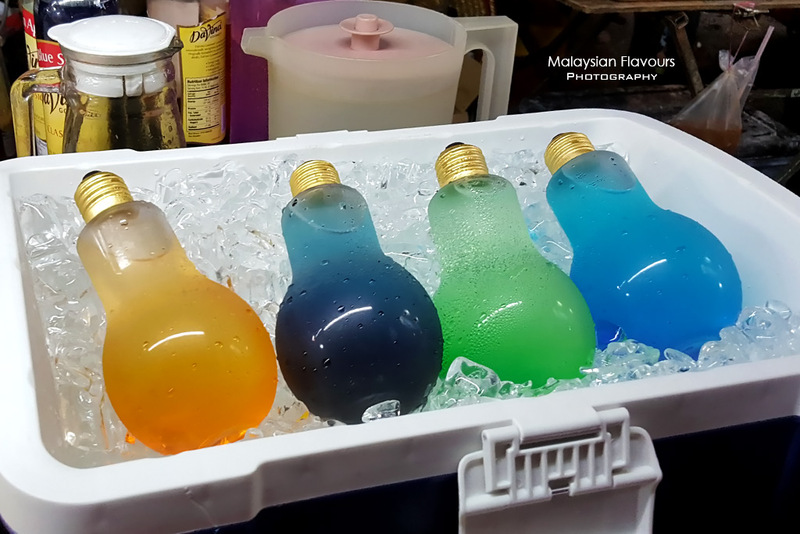 Take Eat Easy Modern Bakery Cafe Kepong KL legendary fruit juice in light bulb reborn in Cheras Pasar Malam. These are filled with mocktail of your choice. Can also add alcohol to make it into cocktail. 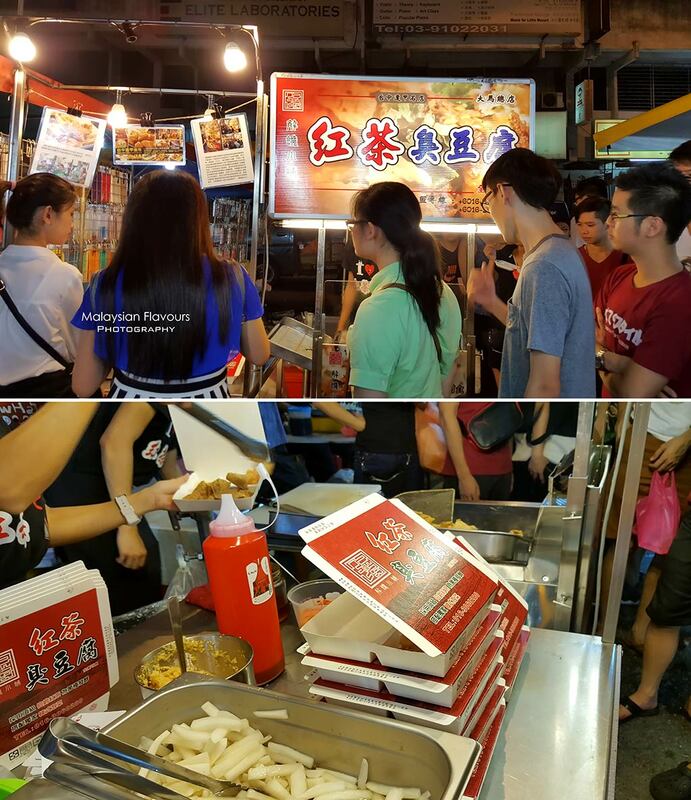 Hmm..
Hong Kong style Gei Dan Zai is now in Taman Connaught Pasar Malam. Seems not bad but waiting time can be long as the stall has only 2 mini stove “on duty”. We came across another stall (凍bok bok) selling the same snack further down the street, but more fancy with scoops of ice cream coming together, making it a dessert cup similar to Eggu in Atria Shopping Gallery. Erm, we only tried this before in Penang, and not Kuantan. 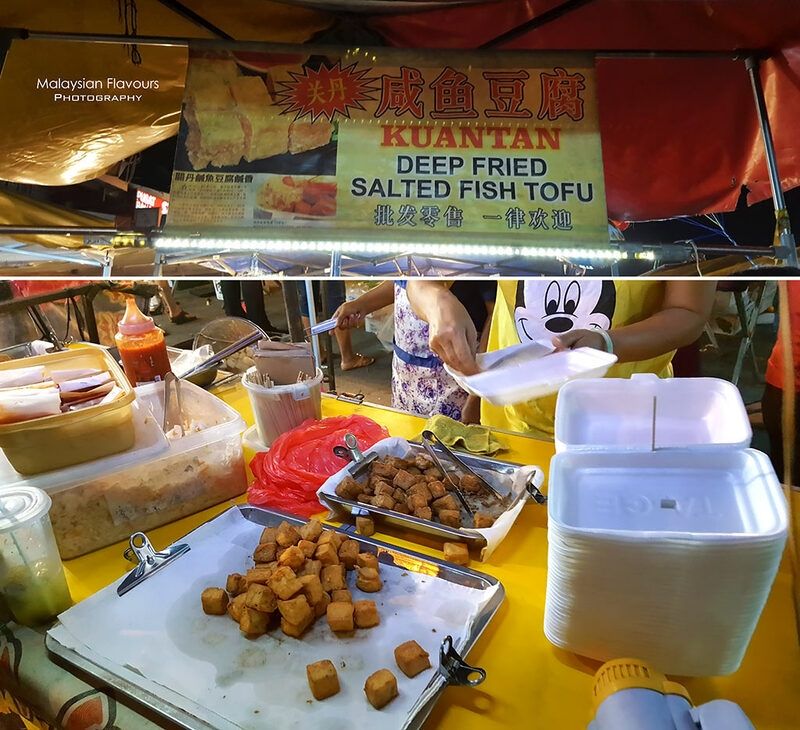 Believe it will be as good, with a touch of saltiness lacing over the crispy outside, soft inside deep fried tofu tofu. Korean bingsu-inspired, with gimmick container. The shaved ice is coarse, still a long way to go comparing to the snowy, delicate Korean bingsu. Just curry fish ball is too main stream. 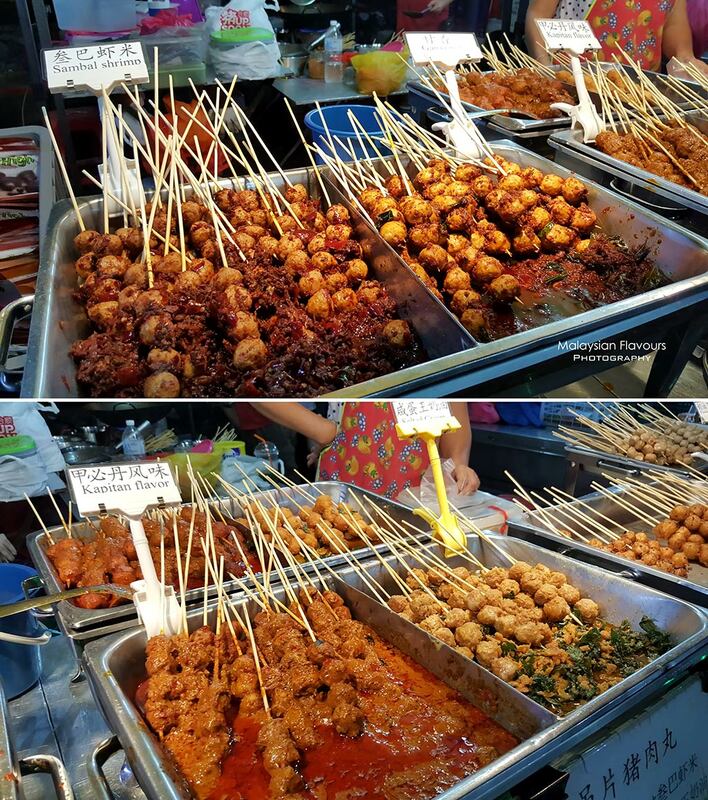 Try Salted Cream Pork Ball, Sambal Shrimp Pork Ball, Kapitan Pork Ball, Cream Cheese Pork Ball ! 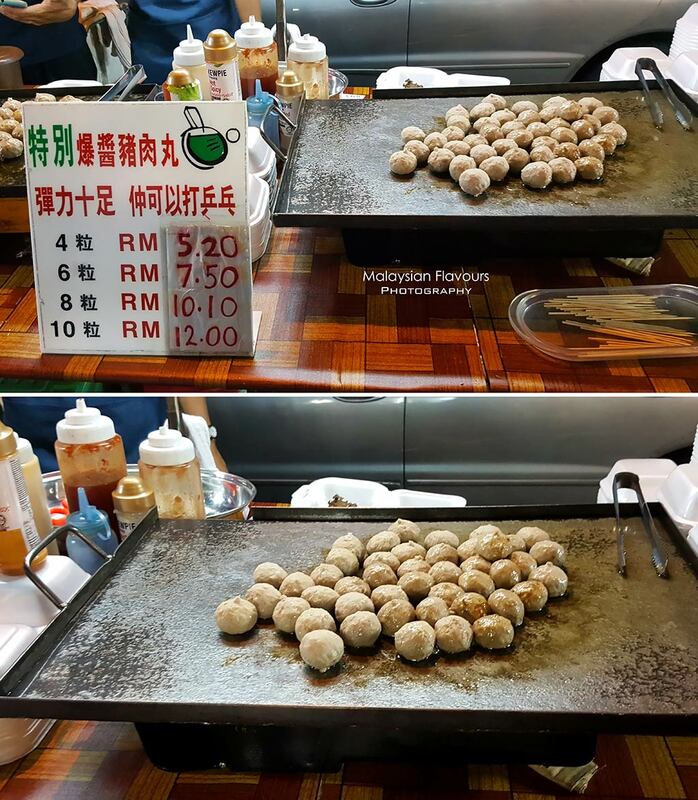 Not to forget, the famous Special Pork Ball, bursting with flavourful soup once bites through. 仲可以拿來打乒乓- an exaggerate way to the pork ball is so bouncy until you can use it as ping pong ball. So win. There were stalls which we didn’t manage to cover, as the Pasar Malam was way to crowded. So packed that we could hardly move in certain part of the night market, so we just left at 10.30PM. 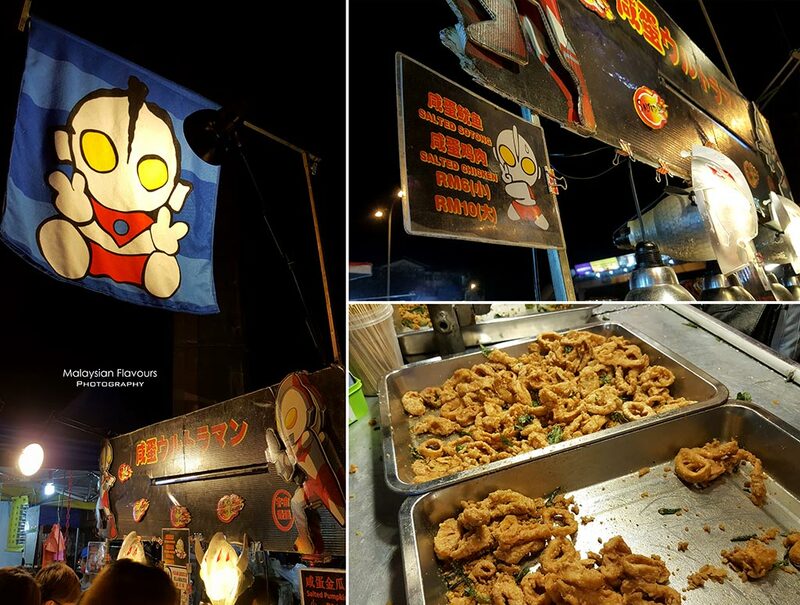 Many people are still queuing for Ultraman Salted Egg Yolk Chicken; eating curry mee, prawn mee and so forth sold by food truck. 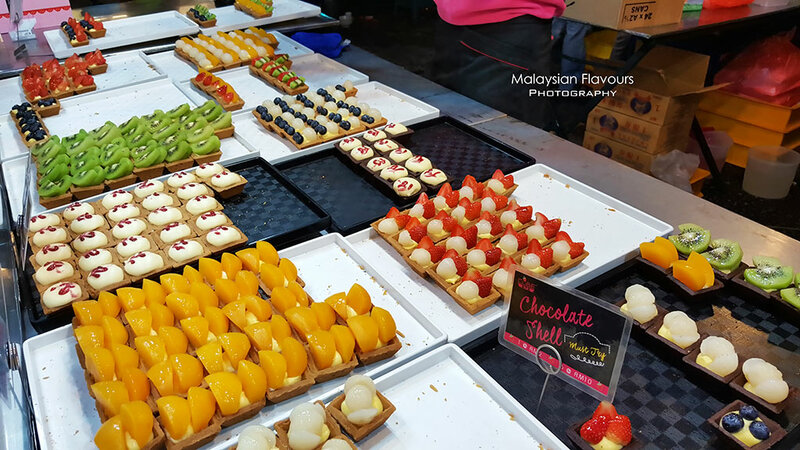 Expect many stalls will open till 12 midnight. Parking wise, needless to say, is difficult. If you were early enough, perhaps you get the chance to park along the shop lots, or choose to park at your own risk by the roadside. We reached around 8.30PM hence there were no parking nearby. Summerkid drove further down, into the neighbourhood, which was about 10 minutes walking distance from Cheras Pasar Malam. The Taiwan Egg Burgers are my favourite! !